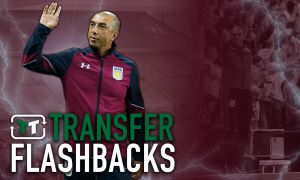 Di Matteo plots shock £10m Aston Villa raid on former club Chelsea for forgotten man | The Transfer Tavern | Where football transfer rumours fly or die! Such is the nature of Chelsea’s squad, the Blues supporting punters in the Transfer Tavern often have to be reminded that certain players are still on the books of the club after a few pints. 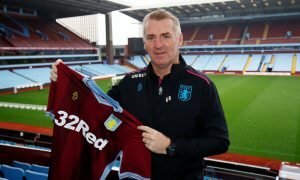 So, the Aston Villa fans quizzing the London locals about a certain £10m forward have been hard pressed to get a sensible answer so far! According to the Daily Mirror, new Villa chief Roberto Di Matteo is weighing up a move to bring forgotten Chelsea forward Patrick Bamford to the Midlands this summer. As the Italian, who won the West London giants their only ever Champions League title, gears up for a major rebuild with the Midlands giants, he is said to have cast his eye over the 22-year old. Though he struggled for game time on loan at Crystal Palace and Norwich City, he has proved prolific in the second tier while on loan with the likes of Middlesbrough and Derby County. 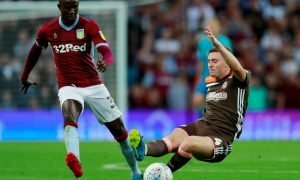 Will Bamford alone be enough to fire Villa back into the big time?